If you’re bothered by the look and pain of varicose veins, Dr. Russell Becker offers minimally invasive treatment options to restore your vein health. 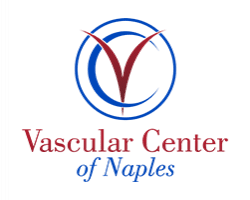 At Vascular Center of Naples in Naples, Florida, Dr. Becker offers the most innovative solutions, such as radiofrequency ablation, to treat damaged veins and improve blood circulation throughout your body. If you’ve been considering treatment for bulging veins, now’s the time to schedule a consultation. Book online or by phone to learn more. Radiofrequency ablation is an effective treatment for varicose veins that uses radiofrequency energy to close off damaged veins in your leg. Once treated, varicose veins are less visible and no longer painful, helping you to return to your usual activities. What can I expect during a radiofrequency ablation treatment? Dr. Becker performs this treatment in a comfortable office environment. He can numb the catheter insertion area with a topical anesthetic to prevent discomfort. During the procedure, Dr. Becker makes a small incision near the affected vein and uses an X-ray machine to guide a catheter into place to ensure treatment accuracy. He inserts the radiofrequency electrode into the catheter to reach your vein, then applies the radiofrequency energy to close off the vein. You may feel slight discomfort during the insertion of the catheter, but the radiofrequency energy treatment shouldn’t cause any pain. What happens after a radiofrequency ablation treatment? Following your treatment, Dr. Becker recommends you wear a compression stocking to reduce swelling and prevent the formation of blood clots. You can expect to return to your normal activity after treatment without limitations. You should avoid sitting for long periods and try to stay active during your recovery to reduce your risk for complications. What are the benefits of radiofrequency ablation treatments? Dr. Becker offers this minimally invasive treatment because it’s highly effective in reducing the appearance and symptoms of varicose veins. The procedure ensures you can recover quickly and in less time than other procedures. In addition to the health benefits, radiofrequency ablation techniques improve the overall appearance of your legs. Within several months of treatment, veins are no longer visible on the surface of your skin. Within a year of treatment, you can expect those veins to be undetectable in an ultrasound imaging test. Dr. Becker can determine if radiofrequency ablation is the right choice for you if you suffer from painful varicose veins. 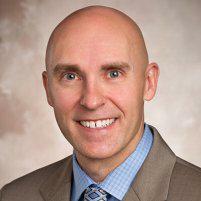 He reviews your medical records and the severity of your varicose veins to customize a treatment plan for you. To learn more about treating varicose veins with radiofrequency ablation, schedule a consultation with Dr. Becker online or by phone.